You can perpetuate your commitment to Jewish life. Planned Giving provides many creative opportunties to maximize your giving with many benefits to you. Charitable estate and financial planning may be in the form of cash, real estate, securities or other marketable property. You gift now will have an everlasting impact on Jewish life. You can maximize your policy to provide life and sustenance to Jewish education, outreach and social service. 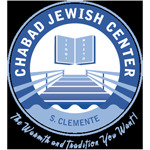 Establish a Charitable Trust that continues to help the Jewish community. Your retirment plan can include your commitment to Jewish life.